Believe Dream Create with Maria: I Have a NEW Stencil Design from StencilGirl! I Have a NEW Stencil Design from StencilGirl! Just wanted to pop in and say....YAHOO!!! I have a NEW stencil design from StencilGirl that is LIVE and ready to ship today. SO many possibilities on this one to "pull" parts out. I'll do a full tutorial soon but for now.....a GREAT big THANK YOU to my buddy Carolyn Dube for showing you some artwork! Love, love, love it, too, Maria!!! Maria, this is beautiful! So many wonderful possibilities. YUMMY!! 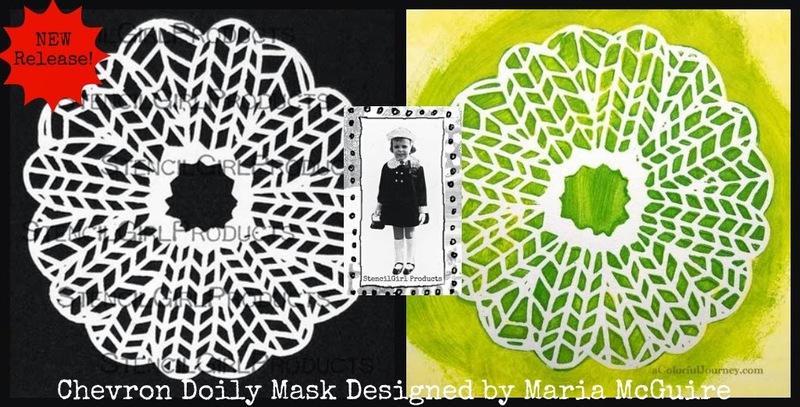 Love this stencil - oodles of possibilities! Well done, Maria! Beautiful design, Maria! Congrats on your new release.